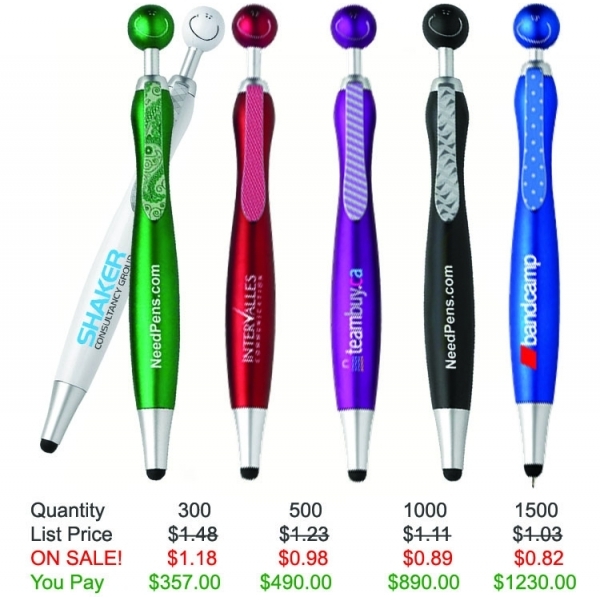 NeedPens.com - Personalized your Swanky Stylus Pen with your LOGO. Hot item. Swanky goes hi-tech with a finer-point stylus nib on the business end of the pen. 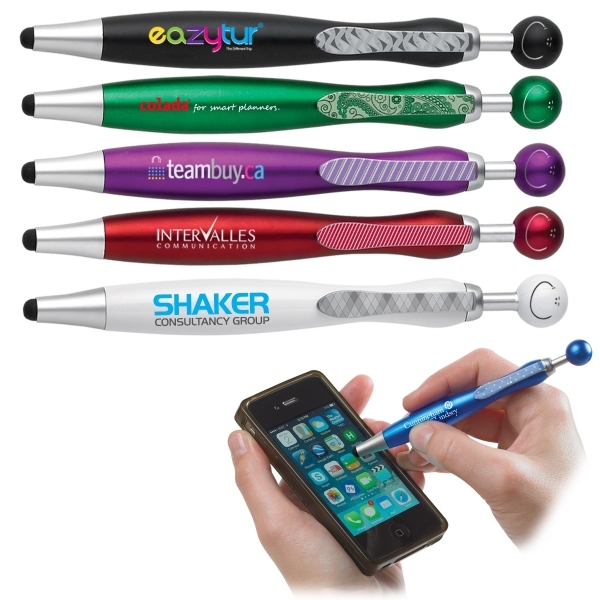 Available in six matte metallic color combinations, each smiling stylus pen is carefully engineered to provide both excellent writing characteristics, and when the pen is retracted, they provide precision stylus functionality on touch screen phones, tablets and PDA's. The stylus pen features a quality black ink cartridge. 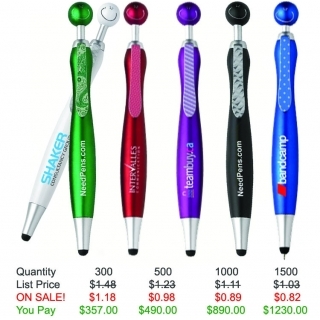 Patented.This is the perfect way to put your branded message directly into the hands of your customers! 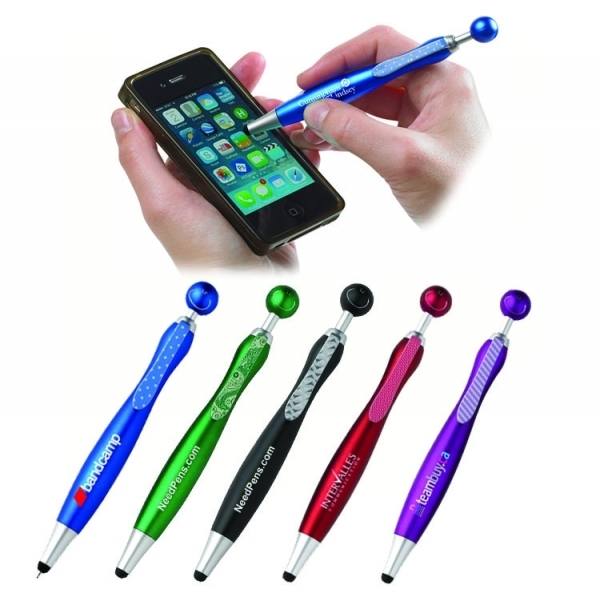 Product Features: Silicone rubber stylus for use with an iPad or any other touchscreen device.